I have been looking forward to seeing As Above So Below ever since I saw the film trailer. There is a scene where a guy crawling through a very narrow tunnel half littered with bones gets stuck and it starts to collapse. It immediately made me think of one of my favourite underground horrors, The Descent, and piqued my interest. Add in the promise of demonic manifestations and strange happenings and I was pretty much sold, in theory anyway. As Above So Below follows the story of Scarlett (Perdita Weeks) as she searches for the Philosopher’s Stone. This quest takes her and her band of followers below the streets of Paris into the ancient catacombs which hold the bodies of millions of people. The deeper they go, the stranger things become and injury and death become their constant companions. I love the film’s concept and for the most part, the way it is filmed really builds the feeling of claustrophobia and fear. Narrow stone corridors lined with rumbling ceilings and haunting echoes give the characters a real ‘place’ to run around and fear what is around the next bend. They also react in the appropriate way when the demonic manifestations take on a very personal aspect to those witnessing them. For some, the ‘found footage’ type aspect of everything being filmed on shaky cameras may wear a little thin. I didn’t struggle with it that much and it did actually aid a few scenes in which the characters were fleeing blindly around bends. It also aided in not showing too much of the things chasing them, which is a common bug bear of mine in many horror films. If you show too much of the monster, you decrease the scares. There were also a few things that I couldn’t help noticing. 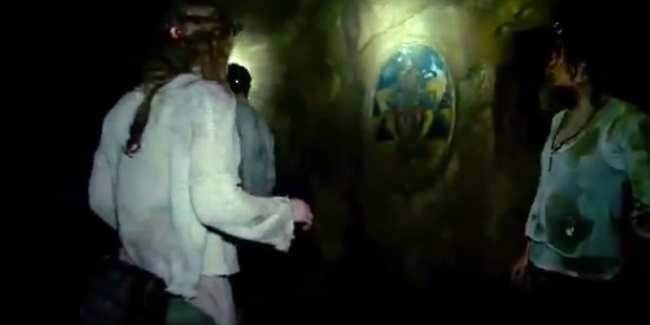 An example is that one of the companions is afraid to go down there because of a former family tragedy in a cave. Scarlett tells a new companion this, then promptly goes to the scared looking guy and asks something like “So...how far down do you think we are?” The height of sensitivity I’m sure you’ll agree. There were also continuity things that I don’t usually notice. “Let’s turn our head-lamps off to conserve the batteries!” so some do. The next scene they are all on again. Picky little things but still there none the less. I personally also found the main character of Scarlett incredibly annoying. I think I had decided in the first ten minutes that I hoped she didn’t make it to the end. A bit mean maybe but nothing I saw as the film progressed changed my view. 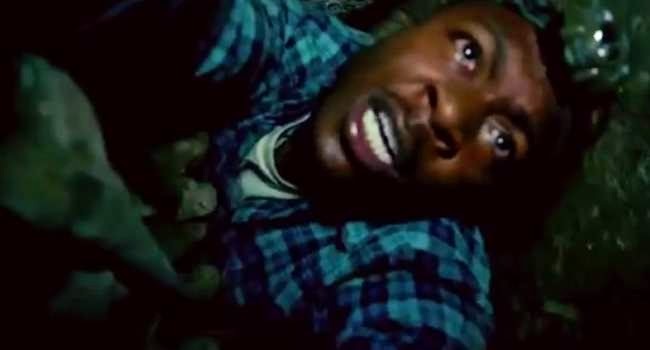 The other characters were less annoying and I felt most sorry for Benji (Edwin Hodge) the cameraman. I felt his acting was the most convincing and authentic. The scares themselves were sometimes predictable or cheap, but the film did do some great misdirections too which you will pick up on yourself if you see it. 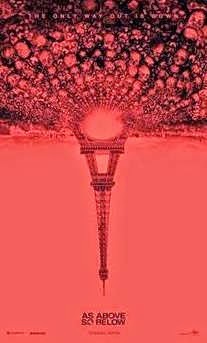 I would give As Above So Below 3.5/5. I loved the concept and setting but there were just some aspects of the character interactions that just left me laughing quietly to myself. If you like enclosed spaces and hell themes, I think you will enjoy it. Glad to hear a different opinion about this one. I was really excited about this movie when I first saw the trailer, but I heard a lot of dissapointment about like predictable scares and the found footage was more of exploitation than enriching the story. But your post makes me want to give it a chance. I'm glad it gave you cause to reconsider. Personally I've already decided that I will be picking this up on blu-ray when it's out, so I guess that shows how I feel about it too lol.